Seventy-one-year-old Dianne Vyhlidal’s unretirement job has become more than a way to bring home extra money. It’s an important ministry. In fact, Dianne knows what so many of the clients at her workplace – Moser Memorial Chapel in Fremont, NE, – are going through. Dianne and her husband, Rich, lost their adult son, Troy, 11 years ago at the age of 41. As a receptionist and administrative assistant for the funeral home, Dianne can empathize with her customers in a way many others can’t. Dianne had a 30-year career as office manager for an Anheuser Busch Wholesaler then worked as an executive assistant and payroll administrator at a trucking firm, Werner Enterprises, before retiring in 2012. But retirement did not appeal to this dynamic mother of two surviving sons, grandmother of five, and cancer survivor. “I wasn’t ready to retire,” said Dianne. She was at the funeral home attending a visitation when the former funeral home owner approached her, asking how she liked retirement. When she said she didn’t, the owner offered her the job of an office staffer who had just given two weeks’ notice. Dianne takes phone calls, greets families, develops service folders and coordinates the registration book, paying close attention to important details such as correct name spellings and other biographical information. She’s there for families during the tragedy of untimely loss as well as those moments of celebrating long lives well-lived. 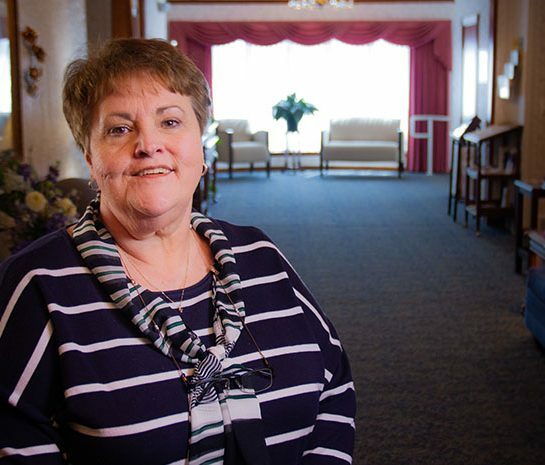 “My faith faltered when we first lost Troy, but I think it was grown stronger since I’ve worked here,” said Dianne, who estimates she has personally become acquainted with and formed a bond with about eight families who have lost a child in the past five years. 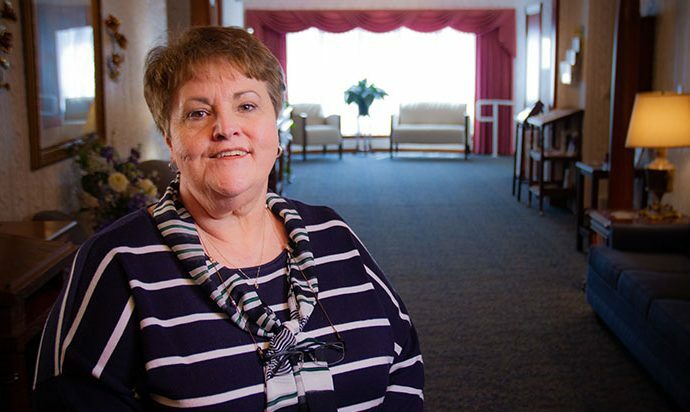 Dianne’s three-day work week coincides with that of her husband, Rich, a driver at a care community, and allows her time for her church, St. Patrick’s in Fremont, NE.